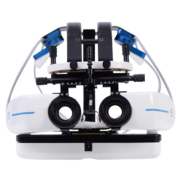 VisionFit-SC: Revolutionizing the Subjective Refraction! 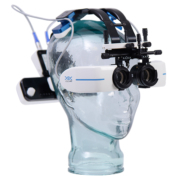 VisionFit SC is an innovative electronic, tunable, all-in one, solid state, mobile and wearable refraction system utilizing Adaptive Optics. 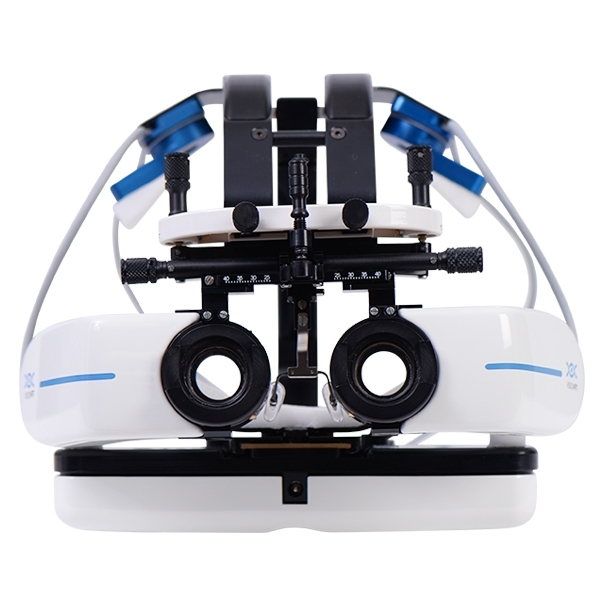 It is used to perform a subjective vision examination in any environment and room size. 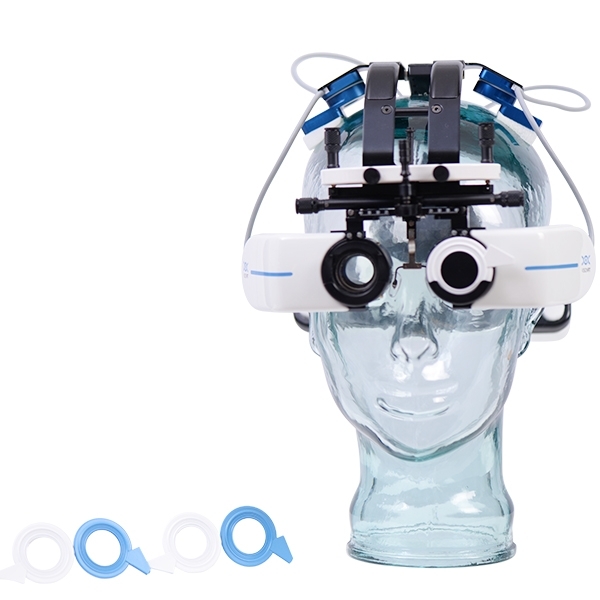 Effectively replacing both the trial glasses and the manual/electronic phoropter, it enables refractive examination in a standing or sitting position and for distance, med range, or near working distances. VisionFit SC does not require a specific patient’s position which is why it is ideal choice for working with immobile or physically challenged patients. Exam room size accommodations can be preset to adapt to working distances between 1 – 6 meters, providing the doctor with the flexibility to offer services in almost any environment. The technology implement in the VisionFIt was develop in the University of Padova, the second oldest university worldwide, in the same Astronomy department where Gallileo Galilei design the first telescope. Through the years, the University of Padova specialized in adaptive optics and optoelectronics applied to Industry and astronomical research. Leveraging on its technological know-how and competences in Astronomy going from the macro-cosmos to explore the micro-cosmos of the human eye. VisionFit is an innovative electronic, tunable, all-in one, solid state, mobile and wearable system of lenses. It performs a subjective sight examination and it effectively replaces both the trial glasses and the manual/electronic phoropter functionality. The VisionFit Adaptive Lenses’ revolutionary spherical and cylindrical lens technology operates under a very similar principle to the human crystalline lens. 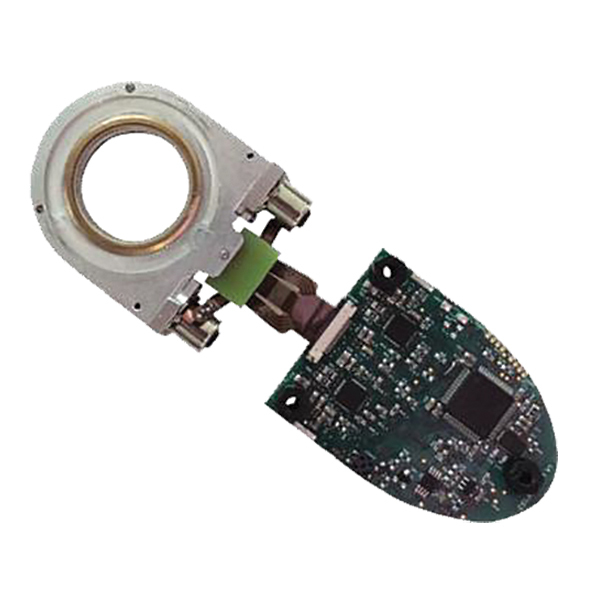 Similar to the human crystalline lens, the VisionFit has the ability to adjust and change dioptric power while being controlled electronically by the operator. 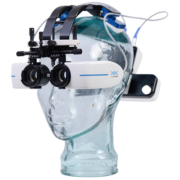 This allows for a more accurate and fluid subjective-sight examination process for both the operator and the patient. One of the greatest benefits of the VisionFit Adaptive Lenses is the high-precision single lens technology. With just one lens, the professional has a full range of dioptric values with astonishingly precise incremental steps of 0.05D. This incredible accuracy is achieved by the unique adaptive lens technology which is linearly designed to mimic the human crystalline lens making the VisionFit an unparalleled tool for refractive surgeons. Another great benefit is its instant response to electronic stimuli, this makes the process of preparing the patient’s prescription fast and accurate. Cutting down the examination process and increasing examination accuracy is our main objetive. Due to the VisionFit’s slim and compact design, the peripheral vision is wider than any other phoropter available. 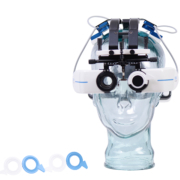 This feature makes VisionFit the new concept for subjective refraction. 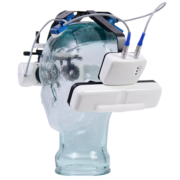 By increasing the peripheral range this not only opens the door to a variety of new testing capabilities, but also allows the patient to have more confidence in the accuracy of their final prescription glasees. Subjective refraction can be performed with the patient in any position due to the mobility of the unit. 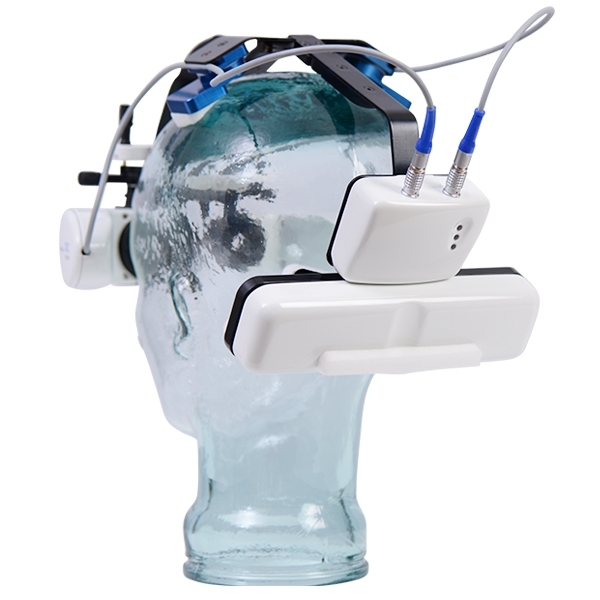 This allows the patient to move freely around the room to accurately test how the patient will feel with the final prescription. This increased amount of mobility creates a more comfortable procedure for both the patient and operator. 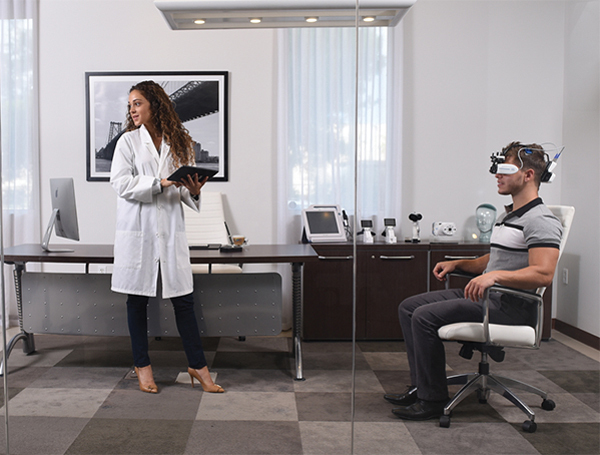 The VisionFit allows for an increased amount of versatility regarding examination room layout. By eliminating bulky refractory stands, more space can be utilized for additional needs. The versatility of this modern device, allows a comfortable experience for all patients including those who may use large wheelchairs. 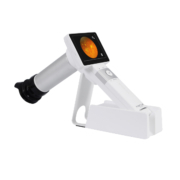 The device’s unique portability eliminates the large refraction unit or special installation procedures to receive the desired results. The patient wears the VisionFit lens frame like a regular trial frame and looks through it at a standard eye chart – or any other near or far target. 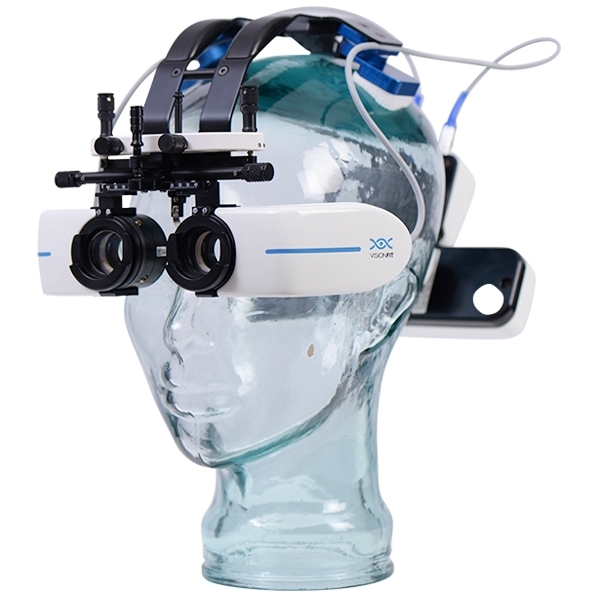 While the patient is examining the chart, the operator will adjust the position and configuration of the optics with the user-friendly control panel application. 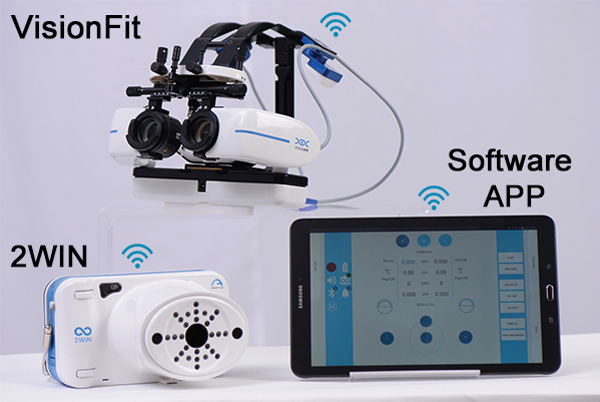 The VisionFit, being the top-of-the line subjective refraction system, utilizes Wifi and Bluetooth connection to synchronize with the 2WIN as well as the control panel. This wireless system also eliminates the problems caused by excess cords that may get in the way of the patient and operator. The device can also be controlled remotely by the operator, which provides the most feasible and versatile option for diagnostic and service needs. Allowing the doctor to work at the comfort of his desk. 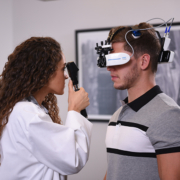 Due to the fast and reliable wifi connection, the VisionFit can receive 2WIN objective Rx data which will minimize the examination process. The bluetooth functionality of the equipment makes it easier than ever to pair with any Android tablet. Standard cord connection is also available to the user. 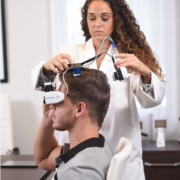 The VisionFit allows the professional to accommodate his entire refraction practice in a single carry-on that can be taken immediately to practice everywhere. To ensure the portability and functionality of the VisionFit SC, equipped, with a rechargeable and replaceable battery pack. This battery pack provides a 2-3 day charge, which allows the doctor peace of mind that his equipment will be available to use when needed. The ability to use the device over and over without a charge is as incredible benefit for fast-paced ophthalmic clinics. 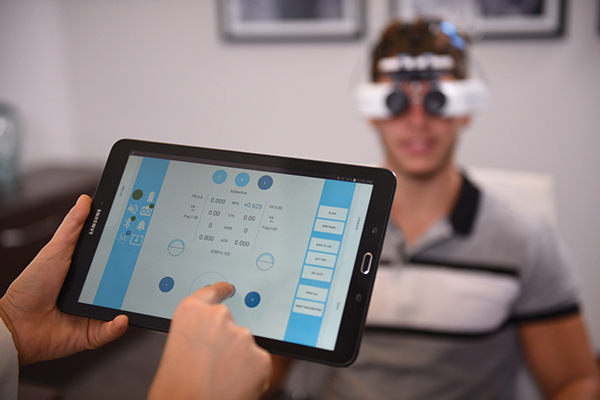 To accommodate existing devices of the practice, the VisionFit system is controlled by an app that can be downloaded on any Android tablet. The tablet serves as control panel that can receive data from 2WIN and allows the operator to adjust power diopters, axis, JCC and much more. Another benefit to the usage of an app is the constant upgrading of its software, allowing the professional to always have the latest and greatest technology available to their practice. VisionFit provides incredibly versatile prescription printing options, which allows the results to be shared with email, message, Bluetooth, and wifi. This variety accommodates different practice needs. It provides four output files that can be viewed or transferred. 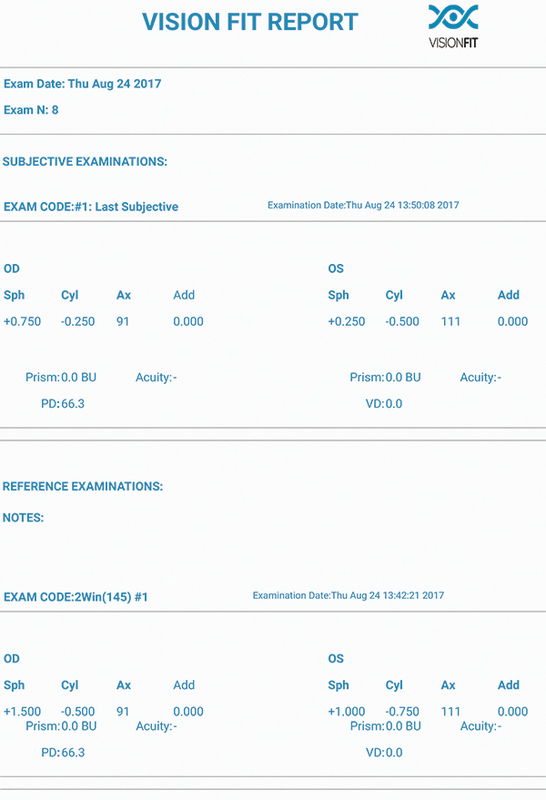 These files include two PDFs for prescription screening result and detailed subjective refraction Regarding EMR needs, JSON files and XML files are also provided. 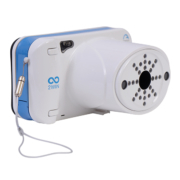 With the combination of the VisionFit SC and the 2WIN binocular handheld refractometer and vision analyzer, the operator can perform an objective and subjective refraction exam in only a few minutes. By introducing this wireless, wearable, light-weight, and highly innovative device to the medical space, we envision a minimalistic and modern future to clinical ophthalmic examinations. 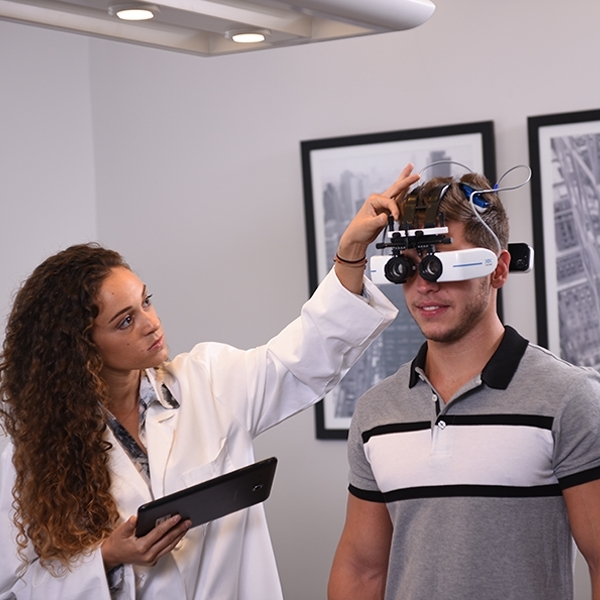 The stylish simplicity of this refraction system, mixed with an increased accuracy of results, makes the VisionFit a cutting-edge addition to the future of diagnostic technology. 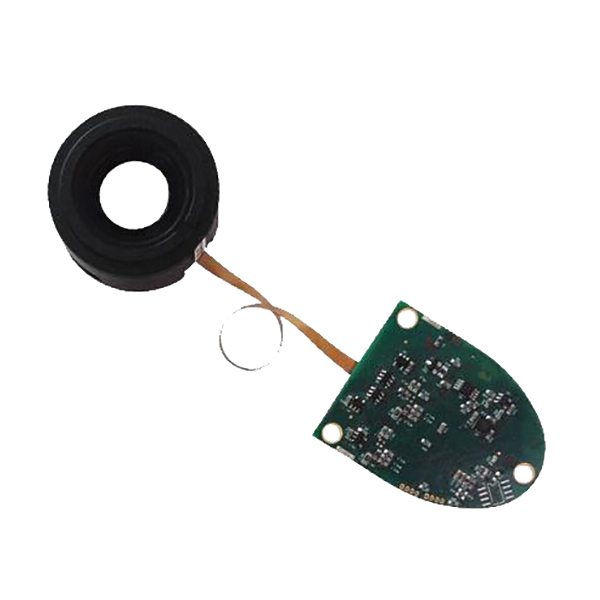 (adjustable from 0.05 to 0.25 D) with the use of the basic spherical lens.